String bands, bluegrass generally; it’s not for everyone and I guess most bands making music in this genre today must be trying to attract a few new listeners, but how do you do it? You can try playing traditional tunes and be better than anyone else, but that’s not likely to bust you out of the genre. You can write new songs in the bluegrass idiom, but that’s risky unless they’re very good. 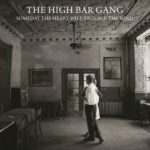 The third way is to cover familiar songs in the string band style, and that’s the way The High Bar Gang have gone with their previous album of gospel songs and this album of heartbreak and death country songs. And they did one more revolutionary thing; they recorded the album in stereo, as opposed to using the traditional one–mic technique. 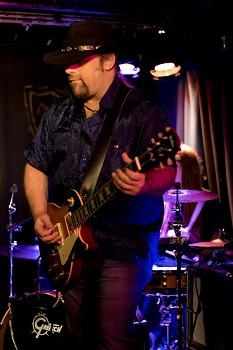 Despite a few lovely guitar solos, particularly on the opener, Dolly Parton’s “Silver Dagger” and the penultimate “Rock Salt and Nails”, the sound of The High Bar Gang is built on a solid basis of ensemble playing, the interplay between bass and guitar and the more percussive mandolin and banjo creating the rhythms that drive the songs underpinning a rich and varied series of textures and melodic settings created by seven players with various combinations of guitar, banjo, mandolin, fiddle and upright bass. There’s even some time signature variation, with almost half of the songs in ¾ time. And then there’s the voices, working together in all sorts of combinations; two-part and three-part harmonies featuring in “How Many Times Have you Broken my Heart?” and “She’s More To Be Pitied” (sounding like a reply to the Arlie Carter and William Warren classic “Wild Side of Life”) and the male/female duet combination of “Branded Wherever I Go”. They all have that seemingly effortless lustre that only happens when a true gift is polished to perfection. If you look at this as an experiment in adapting songs to a string band style, it’s a complete success; it should win over a few more fans to a genre that’s almost a polar opposite of everything we hear on mainstream radio. There are lovely interpretations of classic songs by Dolly Parton, Earl Scruggs, Roy Acuff, Hank Williams and Johnny Cash, all accented with perfect harmonies and melancholy fiddle fills. Who knows, it may even help them earn a well-deserved breakthrough to a wider audience. “Someday the Heart Will Trouble the Mind” is out on August 19th on True North Records (TND622). How long is it since you heard a good song that was funny, or even a funny song that was good? One that wasn’t just whimsical and that you could maybe bear to listen to a second time around? There was a period in the seventies when Loudon Wainwright III, Warren Zevon and the brilliant Shel Silverstein turned out some hilarious songs alongside the serious stuff, but what’s happened since? Well, here’s the good news, it looks like Scott Cook can carry on the tradition. He’s a gifted songwriter, fizzing with boldness and ingenuity, writing about the environment, responsibility, commitment and the world stubbornly refusing to end according to anyone’s timetable. Scott describes “Go Long” as ‘a bunch of silly songs’ that were recorded live in the studio with a few overdubs and corrections later, giving it a fresh and spontaneous feel that works perfectly for the songs. There are some ‘serious’ songs on the album (“Sweet Maddie Spawton”, “Come This Far”, “That’s Life (Loving You Right Back)” and “While the Party’s Still Going) but the remainder often look at serious subjects through a humorous filter. “Talkin’ Anthropocalypse Blues” typifies this, with a breakneck run through a few inaccurate Armageddon predictions before bringing the song back to the need to take responsibility for our planet, rather than waiting for someone to do it for us. It rattles along like Johnny Cash’s “A Boy Named Sue” (written by Shel Silverstein) with barely a chance to draw breath as the failed apocalypse predictions are serially skewered. “I Live Down Here” sounds like a children’s singalong, with a simple structure, lots of repeated lines and opportunities for audience participation but with a powerful environmental message permeating the nonsense verses. And some are just funny. The album opens with the sound of a ringpull and the line ‘Judging by the angle of the sun, I’d say it’s beer o’clock” as the band rambunctiously stomp through “Long Weekends Theme”, while “Will the Circle be Unbroken” pokes fun at songs that are past their sing by date; both songs made me laugh out loud on the very first listen, even on a very bad day. “Lifer for a Wifer”, about the impossibility of relationships on the road, is packed with great lines, including ‘And if she can diddle the big bass fiddle, I’ll be wrapped around her strings’. The sleeve notes suggest that this is a frivolous departure from the main themes of Scott Cook’s songwriting, and while it’s true that there’s plenty of fun on offer, more often than not there’s a serious message lurking. This is an album that will make you smile, probably make you laugh out loud, and should make you think. You don’t often find one of those. “Go Long” is released on Friday July 8th on Groove Revival (GRP 007). The sleeve notes also have lyrics, guitar chords and helpful hints from Scott about how he actually played the songs. How did I discover Shel Silverstein? Easy, I bought a copy of the Dr Hook and the Medicine Show album “The Ballad of Lucy Jordon” (a contractual obligation “greatest hits” package put together by CBS before the band departed to Capitol and commercial success). As an introduction to early ‘70s Dr Hook, it’s a belter. Released in 1975, it was obviously a vinyl album; you remember those, don’t you? I bought it on the strength of the chart hit “Sylvia’s Mother”, but that wasn’t even close to being the best song on the album; that’s at the end of the album and the end of the next paragraph. A quick look at the album sleeve showed that fifteen of the sixteen songs were written by someone called Shel Silverstein, who wasn’t even a member of the band, and they were a fascinating collection of songs, ranging from the country pastiche of “The Wonderful Soup Stone” through the Rabelaisian comedy of “(Freaking at) the Freakers’ Ball” and “Roland the Roadie and Gertrude the Groupie” to the superb ( and much-covered) story of a suburban breakdown, “The Ballad of Lucy Jordon”. If you don’t listen to anything else picked out in this piece, you really should listen to the Marianne Faithfull version of this song. I know this is a nostalgia piece, but there are a lot of things that weren’t better in the old days. In the 21st century, you can find out almost everything about a group or artist within seconds; you can get a biography, you can listen to their material (released and unreleased), you can probably get a message to them directly and they might even reply. In the mid-to-late 70s, you had NME, Sounds, Melody Maker, John Peel and some independent record shops to let you know what was going on. 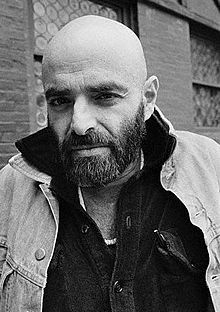 Although I was only really interested his music, I discovered that there was much more to Shel Silverstein than songs; he was also a gifted cartoonist, poet, screenwriter author of childrens’ books. Eventually, I managed to track down a couple of imported albums (“Songs and Stories” from 1978 and “The Great Conch Train Robbery” from 1980). While the albums didn’t have the polish of the Dr Hook material, they covered a lot of the same territory and gave the impression that once Shel had an idea he had to get it down and move on quickly because there were ten more ideas banging on the door behind it. I loved “Songs and Stories”, from the sheer silliness of “Goodnight Little House Plant”, “Someone Ate the Baby” and “Never Bite a Married Woman on the Thigh” through “The Father of a Boy Named Sue” (he also wrote “A Boy Named Sue”) to the epic stoner poem “The Smoke-Off” and the ode to cop-outs, “They Held Me Down”. It had all the manic energy of a live performance by Robin Williams, who was just emerging as a stand-up at the time. Shel Silverstein was that rare example of genuine Renaissance Man; he had gifts ranging across the field of creative arts, but it was as a songwriter (and ramshackle, shambolic performer) that I love his work. His serious work, such as “The Ballad of Lucy Jordon” was superb, but he also wrote comedy songs that were actually funny ( I still laugh out loud at the lines: ‘Everybody ballin’ in batches, pyromaniacs strikin’ matches’ from “Freakin’ at the Freakers’ Ball”) and you could bear to listen to more than once. It helped that he drew a lot of his humour from the fringes of society and legality, which gave it an extra frisson to anyone looking in to that world from the outside. You rarely hear Shel Silverstein’s name mentioned these days, which is a shame, but he has left a huge legacy in print and in music. If you’re still not convinced, just ask yourself what these songs have in common: “A Boy Named Sue”, “Queen of the Silver Dollar”, Sylvia’s Mother”, “25 Minutes to Go” and “Daddy What If”? Yep, all written by Shel Silverstein. Most songwriters would kill to have written any one of those songs, and that’s before you even get to “The Cover of the Rolling Stone” and the sadly under-rated “Last Mornin’”. He’ll make you laugh and he’ll make you cry, but he’ll never bore you. We asked one of our favourite singer-songwriters, Dean Owens, what he was looking forward to hearing (or reading or seeing) in 2014, and he came up with some very interesting recommendations for us. Dean’s comments are in bold type. First on the list was the new Joel and Ethan Coen film, “Inside Llewyn Davies”. It’s the story of a folk singer trying to get a break in the Greenwich Village folk scene in 1961 and features contributions from the Coens’ long-term collaborator, T-Bone Burnett and also Marcus Mumford. As Dean says: I love the period in New York history it’s set in and I like pretty much like everything the Coen Brothers have done. Next up was the new novel, “The Free”, by author (and singer and songwriter with alt-country band, Richmond Fontaine), Willy Vlautin. This, his fourth novel, is the story of the intersecting lives of three people looking for meaning in difficult social circumstances. Over to you, Dean: The new Willy Vlautin book should be good. He’s a great writer. I’m guessing there may be a new Richmond Fontaine album on the horizon too. Very curious to hear the lost Johnny Cash album, “Out among the Stars”. Should be some gems on that.” The twelve tracks on the album were recorded in 1981 and 1984 and have been in the Columbia vaults ever since; they aren’t demos out-takes or alternative versions, they’re the real deal and they include duets with June Carter Cash. They were uncovered by Legacy Recordings and John Carter Cash. I’m very much looking forward to seeing the first album I’ve produced for another artist being released; it’s by Ags Connolly, it’s called “How About Now” and it’s out in February on Drumfire Records. In November, we reviewed a great gig by Dean and Ags and we’ll be reviewing the album as soon as I can get my hands on a copy. Deer Lake (who I sing with) should be releasing our debut album this year. I’m excited about that. We’ll also be doing a lot more live work this year. 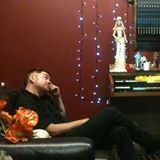 Dean’s been singing with Deer Lake for some time now, alongside former Annie Christian frontman, Larry Lean and the album will be out some this year. We’ll keep you posted. I’ve got a few solo projects up my sleeve this year. Be great to get a new record out and do some touring. So, it looks like Dean’s got a pretty busy year ahead of him in 2014, both solo and with Deer Lake. We’ll be trying to keep up with him. 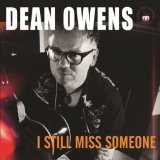 My experience over the last couple of years has taught me that when something turns up for review from Dean Owens it’s always worth a listen and the single, “I Still Miss Someone”, is no exception. 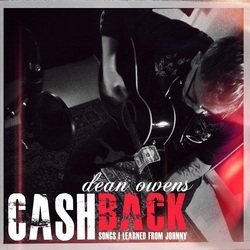 The song is taken from Dean’s classic album of Johnny Cash covers “Cash Back: Songs I Learned from Johnny” and is released to tie in with his current mini tour with his Drumfire labelmate, Ags Connolly. I’ve already said in the review of “Cash Back…”that there isn’t a bad song on the album, so you know that the lead track is a good version of a Johnny Cash and Roy Cash Jr. Song which is well arranged and tastefully played. It’s a great album track, but I’m not really sure that it’s a single. However, it’s not the only track on the single; there are three more songs here. “Virginia North” is a Dean Owens original which is interesting, but wouldn’t feature on a “Best Of…” and the two remaining tracks move progressively towards the basic elements of the songs. On “Folsom Prison Blues”, it’s just Dean and an acoustic guitar, and it works perfectly; there aren’t any unnecessary distractions from a powerful song and vocal performance (including Dean’s version of the trucker’s gear change, where he jumps an octave instead of the usual tone or semitone). The final track on the single, Rod McKuen’s “”Love’s Been Good to Me”, is a real surprise; it’s an a cappella version. There’s nowhere to hide here and Dean absolutely nails it; you can’t strip it back any more than that and it’s a beautiful song sung by a great voice. Whether you already have the album or not, this single’s worth having on the strength of the last two tracks. “I Still Miss Someone” is out October 28 on Drumfire Records (DRMFR013).